If you have been counting the days until you could order the slick new Ford Raptor, the day is here. Ford has announced that the order banks are now open and more than 90,000 hits have been generated in the first ten days of order availability. The MSRP for the 2017 Raptor starts at $49,520 and while deposits and ordering is underway, deliveries are more than a month out. So far the most popular options have been the SuperCrew option with 91% opting for the four door truck. Luxury Group is chosen by 90% of the buyers with the technology package chosen by 77% of buyers. The most popular color is black. One of the biggest Ford F-150 dealers in the country is Team Ford in Las Vegas. 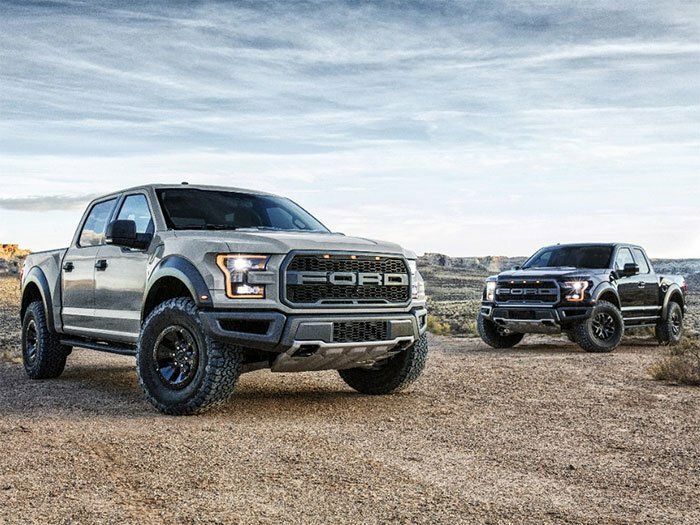 That dealership has 300 customers on the waiting list for the new Raptor. Ford says that of the trucks scheduled for build so far, 65% are for a specific customer. It’s unclear if Ford will make all the Raptors that buyers want or if there will be a limited number produced.